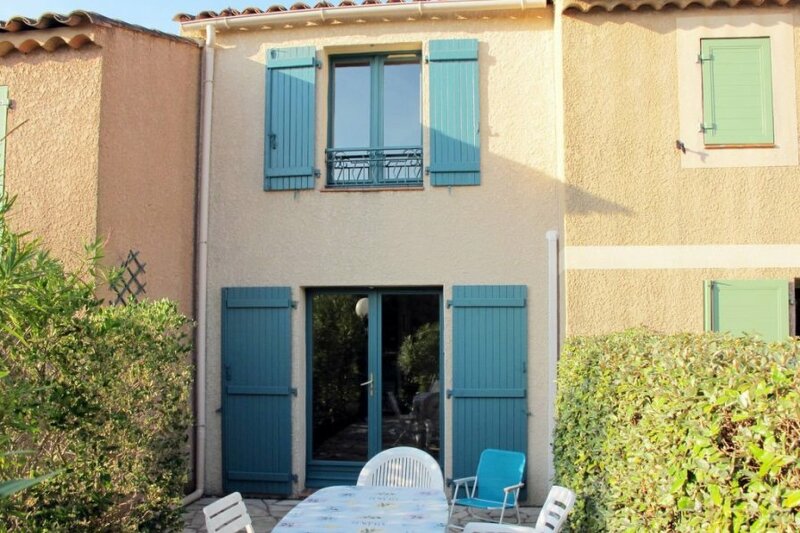 This 2 bedroom apartment with swimming pool is located in Le Plan-de-la-Tour and sleeps 4 people. It has air conditioning. The apartment is near a beach. Feature: Property in a holiday complex (50 units in total). Equipment: TV; DVD, CD player; washing machine; electric heating; combined heating/air conditioning (in the living room). € 16 per person and stay (depending on occupancy). Electricity according to consumption approximately € 0.18/​kWh. Holiday resort tax. Linen/towels must be brought along. Bed linen and towels available on loan, € 20 per person/​change (on order). Deposit € 200 (in cash). Pet not allowed. Estate (shared use): closed plot (electric entrance gate), with garden. Pool (shared use): 12.0 x 6.0 m, 01/05/19-01/10/19. Plot description: terrace 15 m², furnishing provided. The apartment is described as good value for money. This apartment is located in Le Plan-de-la-Tour. It is set in a very convenient location, just 0 metres away from a beach and only 550 metres away from the city center. The apartment is adequately equipped: it has air conditioning and a washing machine.